Home > Browse > Stop SIDA. Tenons notre promesse. Stop SIDA. Tenons notre promesse. 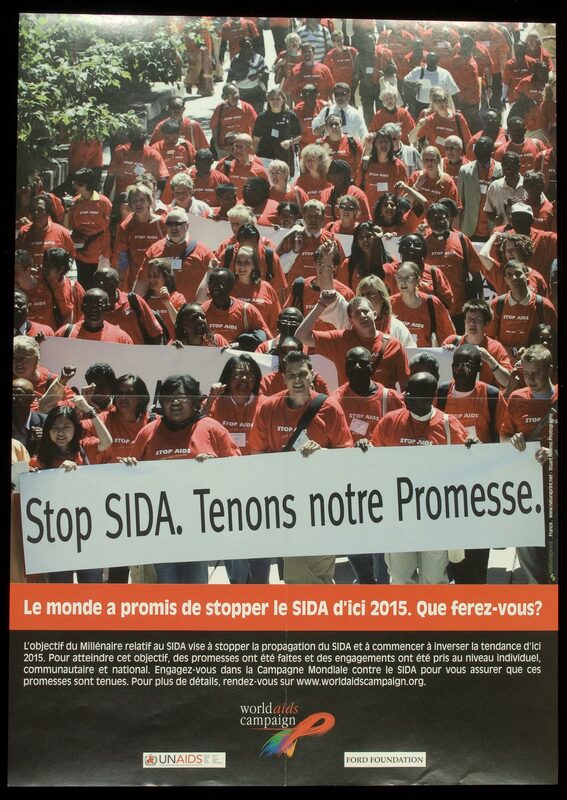 "Le monde a promis de stopper le SIDA d'ici 2015. Que ferez-vous?" = The world has promised to stop AIDS by 2015. What will you do? Stop AIDS. Let's keep the promise. A parade of people wearing red Stop Aids shirts and carrying a large banner.